Is it time to lose that ‘Dubai pound’? 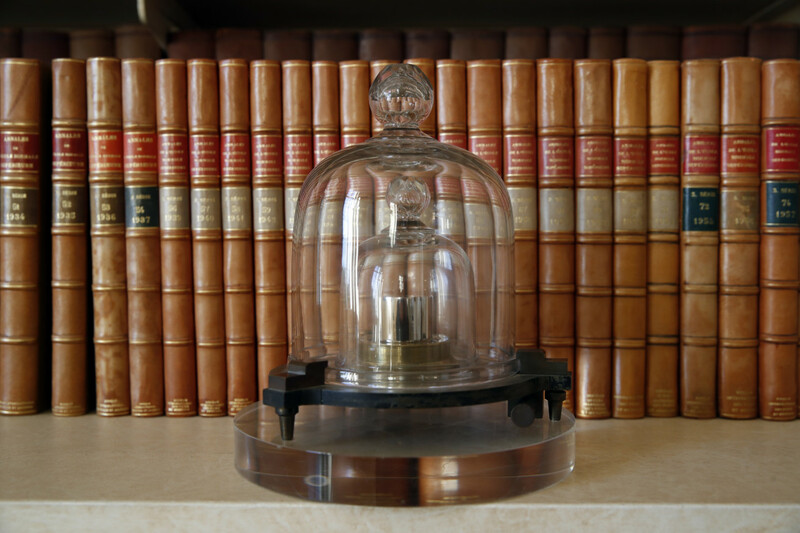 Scientists recently redefined the kilogram and said we no longer need a physical object to measure it, but that is such a nightmare for me and my wife. When the boffins changed the whole metric system earlier this month in Versailles, France, it was believed global trade and technology might undergo a big change. Instead of a metal that is under lock and key in a French lab, one that is gaining weight every year, the kilo will now be defined by a constant in nature, such as a radio wavelength. Don’t ask me how that will help me weigh my baggage, and it’s unlikely the scientists may soon announce an app for that. But for now, whenever we take a flight we weigh our bags on the bathroom scales as we do not believe in travelling light. “Stand on the weighing machine,” says my wife. “Where is the needle pointing to?” she asks. She shoves a heavy backpack in my hands. “It’s 10 kilos,” says my wife peering at the machine. “The airline allows only seven kilos carry-on baggage”. When metrication was introduced on poor souls like us who always thought in pounds, inches and Fahrenheit, it was crazy because fruit sellers in India always had their own system. “The mangoes are by the kilo, bananas are by the dozen and coconuts depend on whether they are fresh or dry,” said the fruit vendor. When I was given the task of buying fruits in my teens, I was instructed to watch the vegetable seller like a hawk. But the guy was like a magician, it was impossible to see when his pinkie tilted the scale, and he had various sizes of stones that he said was kilo, half-kilo and quarter-kilo. There was no such thing as inspections by municipal officials then and I do not think even today there are any inspections. “Here, you check it yourself,” the fruit seller would say handing me a stone. Years later when we migrated to Canada, the doctor spoke a strange language. “Your son’s temperature is 39 Celsius. We will wait and see. No antibiotics,” he told my wife. I was also sad to note that from being five feet nine inches tall, I suddenly shrunk to one metre and some centimetres. “It’s normal to shrink as you age,” said my wife, laughing. Luckily, my fav recipe website, Hyderabadwala.com does not go into details such as weights and measures instead advises that one leg of meat, two jugs of water and three tablespoons of chilli powder should do the trick for a meat curry. “We are like the Mexicans and eat raw green chilies for breakfast and have a gut like a sieve,” I say proudly. Our maid also does not believe in the many spoons we got for her to measure spices. She just scoops the salt with her fingers and throws the whole thing in the pot. When we returned to India after many decades, I sauntered into the many speakeasies the city of Bengaluru is famous for and asked for a pint, but I got 330ml.